You are Here : Home >> BLOGGING >> Should Bloggers Get a Business Credit Card? Bloggers should get a business credit card if they plan to turn the blog into a publishing business. In fact, a business credit card can assist bloggers in three ways: easy funding for their blogging expenses, track expenses for tax purposes and build a strong credit history for their business. With the speed of the Internet working wonders for passionate bloggers, anyone can start their business by applying for a business credit card in the beginning. Professional bloggers have marketing plans with the intention of expanding their networks over the next three years. With long-term planning under your belt, a credit card is a good starting point to building a publishing empire. See Also : 7 Crazy Ways to Promote Your Blog! 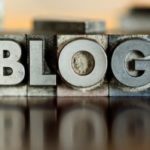 What are your plans for the blog? 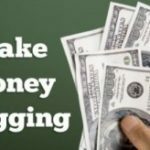 Bloggers must create plans if they plan to make money with online advertising. Additionally, interesting concepts of owning an online business means paying for hosting space, domains, freelance writers, web design work and graphic designs. Business credit cards are a definite chance for new bloggers to get started. According to the Wall Street Journal (2009), there are over 20 million professional bloggers in the US and it continues to grow as Internet technologies advance. Your interest in flourishing in the photosphere means managing cash flow and taking care of startup expenses. 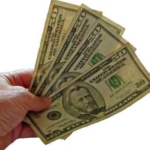 Another way to ensure success is to apply for a cash back business credit card to keep some of their money on expenses. Track Expenses : Why Bloggers Need a Credit Card ? According to the IRS 2011 Schedule C Publication for small business owners, sole proprietor bloggers must submit a Schedule C and Schedule SE (self-employment tax) with their 1040 forms to include income from their blogs. See Also : How Your Social Media Post Feeds Google Search Results ? 1. Advertising costs for online ad placements and offline marketing materials. .2 Supplies including paper, pens, mail items and ink cartridges. 3. Travel and Entertainment, including business dinners for professional interviews with experts, travel to business conferences and training events. 4. Depreciation for computers, hard drives, and printers used to manage the business. Small business owners with little or no interest in understanding the details of expenses should consult their tax professionals after acquiring a credit card. With the professional setup of financials ready, a new blogger can function as a full-time publishing professional and pay taxes for the money earned. You may even use your business credit cards to pay the professional fees to write off under your Schedule C the following year (Motley Fool 2011). New businesses must build their credit histories. New bloggers interested in pursuing a career in online publishing should concentrate on using their credit card to build credit for long-term purposes. Great credit card deals include cash back business credit cards and travel credit cards to manage their business growth. Experian, a leading credit reporting bureau, suggests taking care of business credit accounts to make sure your company flourishes (2011). Bloggers, just like any other professionals, must focus on the future and work hard on managing the financial aspects of business for success. 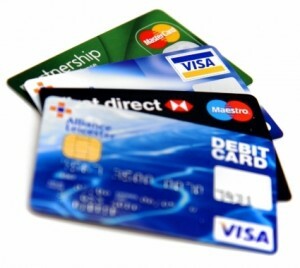 Your company, and blog, needs stable financing so why not apply for business credit cards that suit your needs? See Also : How To Increase Traffic ? Bloggers Guide!